The new omnia is probably the strongest non formoldehyde premium keratin available in the market today omnia can be used in all allergic clients including children omnia has a powerfull blend of volume reducer and hair emollients. The Omnia Guarana Organic Keratin Kit Energy Keratin, is an organic Keratin Treatment without Formoldehyde, its probably the strongest 0% formoldehyde keratin available in the Professional market today. 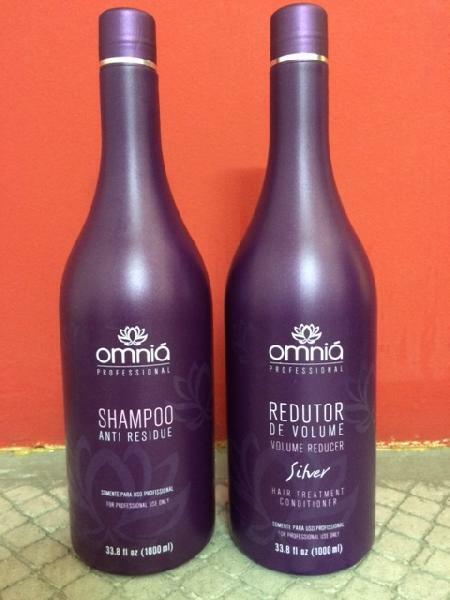 Straightens all difficult hair and preserves the the Stylist or client who is formoldehyde allergic Based with Glyoxilic and other amino acids, Omnia is excellent for allergic Stylists and clients. Omnia also has a post keratin mask that is an excellent post keratin treatment at the salon or home use as a professional hydrant. We do not ship to France.